Embark on an unforgettable cruise to the pristine wilderness of Alaska where you can get up close and personal with all types of nature from scaling the fjords to watching bears in the rivers. Holland America's beautiful Oosterdam, pronounced "OH-ster-dam" takes guests on stunning journeys through the United States and tropical Caribbean. Sail to the breathtaking frontier of Alaska and get in touch with nature with hikes through the pristine wilderness, or soak up the sun and sand in tropical destinations like Jamaica and Mexico, where you can swim in the turquoise waters. 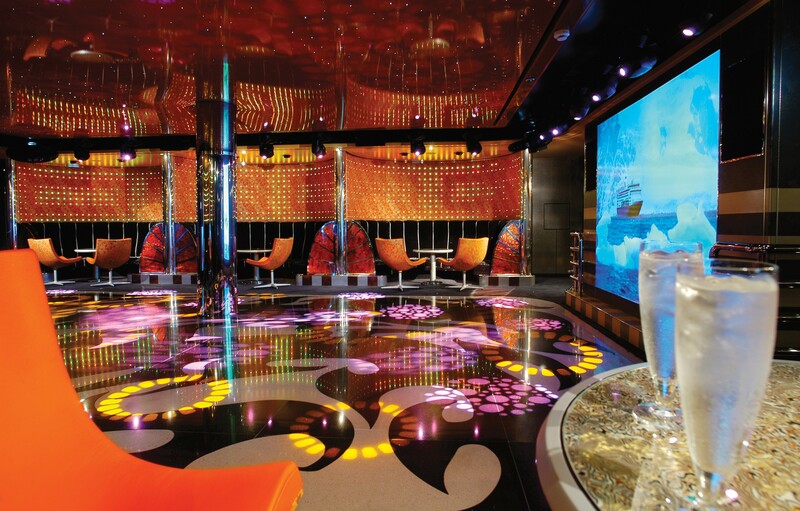 Spanning 934 feet, Oosterdam carries a comfortable 1,964 passengers, so you'll never feel crowded among the eleven decks. With several dining options every day of the cruise, fun entertainment for every age including performers and musicians, and limitless destinations and cruises to choose from, Oosterdam is perfect for your next cruise vacation. Choose from relaxing activities onboard to rigorous adventures onshore either in Alaska or the tropical Caribbean. The beds are Holland America's signature Mariner's Dream beds with plush Euro-Top mattresses and include a sitting area, shower, and spacious cabinets. Enjoy floor-to-ceiling windows, private verandah, large sitting area, two lower beds convertible to one queen-size bed, and bath tub with premium massage showerheads. Large, comfortable suites featuring a spacious sitting area with floor-to-ceiling windows overlooking a private verandah, two lower beds convertible to one queen-size bed, 1 sofa bed, and bathroom with dual-sink vanity, full-size whirlpool bath and shower, and additional shower stall. 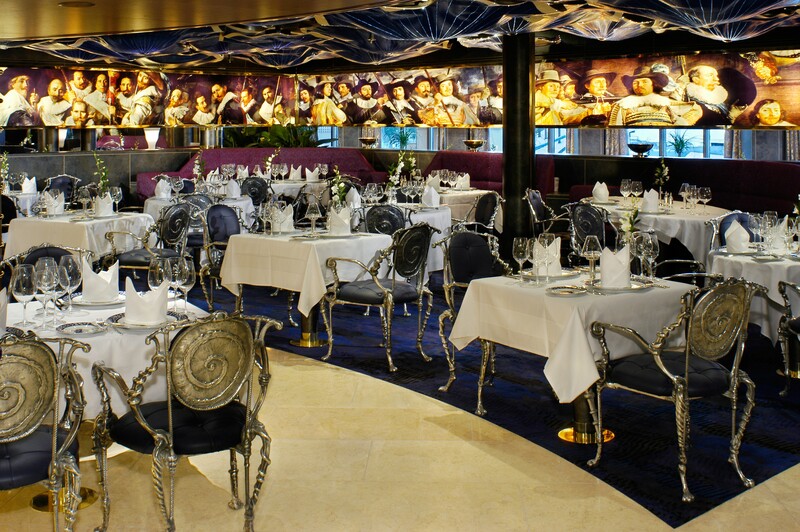 Enjoy a cooking class at sea and learn how to whip up gourmet masterpieces on your Oosterdam cruise. For a unique experience, participate in BLEND, an intimate workshop where you can create your own wine for enjoyment later. There's nothing else like it at sea, either. During the day, choose from several treatments at the Greenhouse Spa, relax by one of the two pools, or head to an adults-only oasis on deck 11. At night, enjoy performances by renowned dancers and musicians, or bet it all at the casino with slots and live table games. Spend the rest of the evening listening to hits at the live music bar or jazz bar before docking at picturesque ports to explore. Vista Dining Room - Main dining room open for breakfast, lunch and dinner with a variety of menu options, including vegetarian and locally-inspired cuisine. You can eat at any time from 5:15 to 9:30 p.m., or choose a traditional seating schedule, either early seating at 5:45 p.m. or main seating at 9:30 p.m.
Lido Market - A marketplace-style buffet in a cafeteria setting where passengers select items from themed stations along with several made-to-order options. At breakfast, guests will find an omelet station, fresh orange juice, eggs and pancakes with different options each day for lunch and dinner.